Grace has spent years watching the wolves in the woods behind her house. One yellow-eyed wolf – her wolf – watches back. He feels deeply familiar to her, but she doesn’t know why. For Grace and Sam, love has always been kept at a distance. But once it’s spoken, it cannot be denied. Sam must fight to stay human – and Grace must fight to keep him – even if it means taking on the scars of the past, the fragility of the present, and the impossibility of the future. First Sentence: I remember lying in the snow, a small red spot of warm going cold, surrounded by wolves. Shiver is a tough book to rate for two main reasons: a) the beginning and b) the middle and the end. I enjoyed the beginning, the elements, and the suspense. I loved the wolf turned human idea and the love between the wolf and the girl. What kept me on edge for awhile was the first chapter – whatever happened to Grace after that? However, the beginning alone wasn’t enough to keep me captivated with Shiver. In the middle of Shiver, things started becoming draggy. Readers know the full details of Grace and Sam’s problem, why drag it on even more and wait to begin the real action? I was shoved with more of oh no, how can we ever be together and the boring dates Grace and Sam went on. Bottom line? By then, I could care less about their sob story. The romance between Grace and Sam was lifeless. The only thing that connects them is the event from many years ago. All they care about is being together, how to be together, and if they could be together. That’s it. If Grace and Sam were real people and I could interview them, I bet they both wouldn’t know what’s their favorite thing about their significant other that attracts them to him/her. Sam’s character also didn’t really make sense. What kind of seventeen year old guy would write poetry? (Okay, I’ll admit, there might be some guys out there that does that, but still. Seventeen?) Yes, I get his whole learn-everything-before-you’re-forever-a-werewolf concept, but I’ve never met any guy my age that’s so obsessed with poetry and constantly thinking about it to describe his feelings. It got so bad that whenever Sam’s poetry lines were mentioned, I just skipped over it. The only character I really enjoyed reading about was Shelby. She was twisted, but I get her. In fact, I kind of admire her blunt ways to get what she wants, even if the things she wants are basically all illusions. I’m glad she survived since she was the only fun person to read about for a couple of hundred pages. Hopefully she’ll make an appearance in the next two books in the trilogy. Now on to the plot holes, namely the one I was always wondering about: the hunting party event. When Grace lied to the hunters to get them to stop hunting for the wolves, stating that her friend was in the forest, shouldn’t the hunters stop, find out that there was no “friend”, and then go back and question Grace? And even then, if they found out there wasn’t any “friend”, shouldn’t they be continuing their hunt instead of abruptly stopping for no reason whatsoever? Overall, Shiver had the potential to be a lot better. The beginning was perfect, but as the book went on, I grew more and more bored. A book with the concept of a wolf and girl being lovers is amazing, but it’s just the way the book just focuses on Grace and Sam’s relationship and nothing else that I had a problem with. I am sorry you didn’t really enjoy this book. I actually kinda liked this one however it didn’t really inspire me to read more of the series. I agree some of Sam’s And Grace’s thoughts didn’t really seem to fit and was kind of unusual. Yeah, I kind of liked this one too…until the end of the book. I sadly won’t be reading the rest of the series either. OMG I felt the same way! I loved the idea of this book, but as I got further into the book I just felt disappointed. I was kind of hoping that maybe the ending would shine through, but it was also a disappointment. I was kind of leaning toward not reading the other two, but i had already bought the whole series so I read them…. and I can say that I was devastated…. I will not ruin it for you just in case you have not read them, but I just felt that the books took a completely different turn from the beginning of the first book. I was not happy with the outcome at all. Then her new book came out The Raven Boys and reading these makes me hesitant to get that one. Thank you for your review. I hope you enjoy the next two more than I did. Good review! I like werewolves so I was drawn to this book. However, this book is the only one I liked in the series. 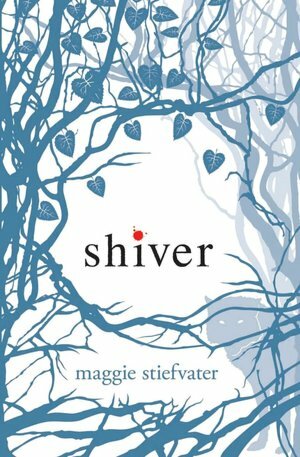 Shiver was the only book you liked in this series? Oh no, thanks for warning me. I’ll avoid the other two books in this series now. Great review! I haven’t read the book yet, but it’s in my TBR pile. I don’t think I’ll read this one. It sounds like there wasn’t much plot to the story, so I don’t think I’d be interested enough to finish the book. Oh no! I had high hopes for this one! I don’t know any poetry writing teenage boys either. Lol! Joanna V recently posted…It’s Monday!